Close all running instances of Visual Studio. 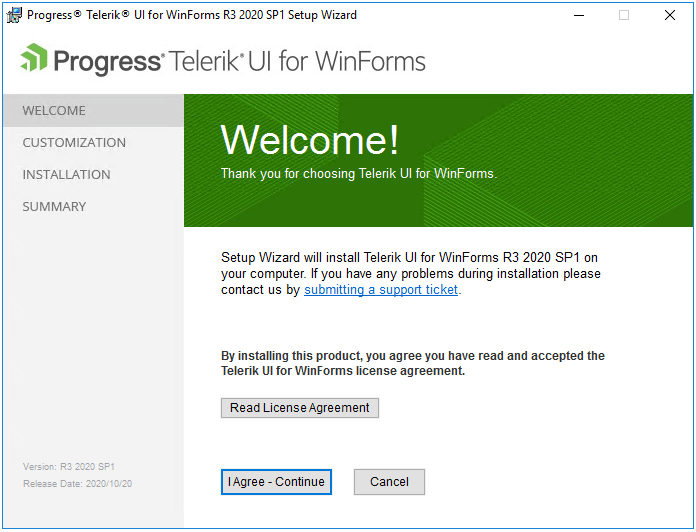 Run the Telerik UI for WinForms setup as Administrator (right-click on the installer and select Run As Administrator). The installer will display the Welcome screen. Click Next to continue.You can use the Read License Agreement button to display the license agreement. Review the License Agreement carefully as it contains important information about the tools, the source code, and support. Click OK afterwards, or use the Print button to print the agreement. Once you are done, select the I agree - Continue in order to continue. 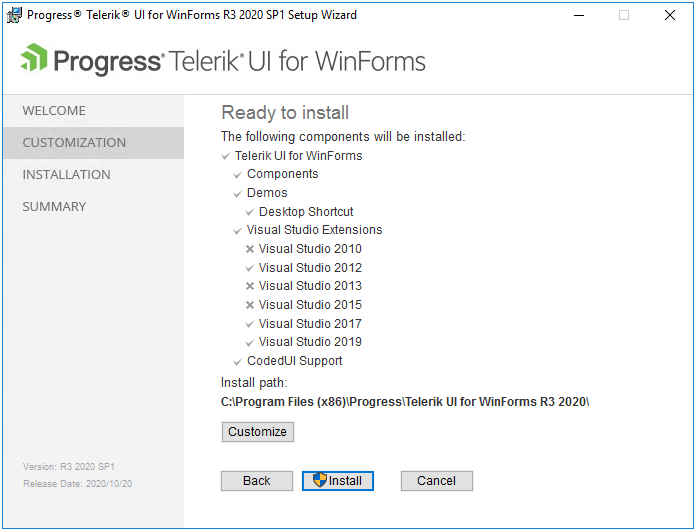 In this step the installer checks the Visual Studio and .NET versions that are installed on the machine in order to prepare the files for installation. You can use the Customize button to choose which features will be installed and the installation path. 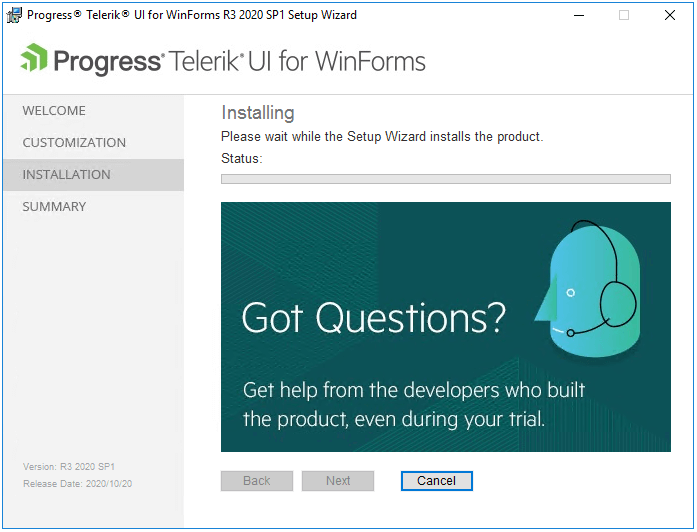 Once done with the installation customization click the Install to start the installation process. The installer will install the controls and display its progress as it does so. You may click Cancel to reverse the process while this screen is displayed. 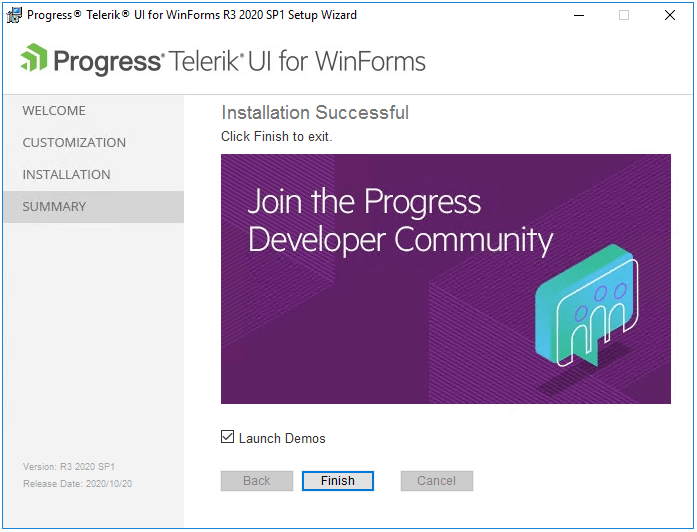 The installer will display the completion screen when the controls are installed. 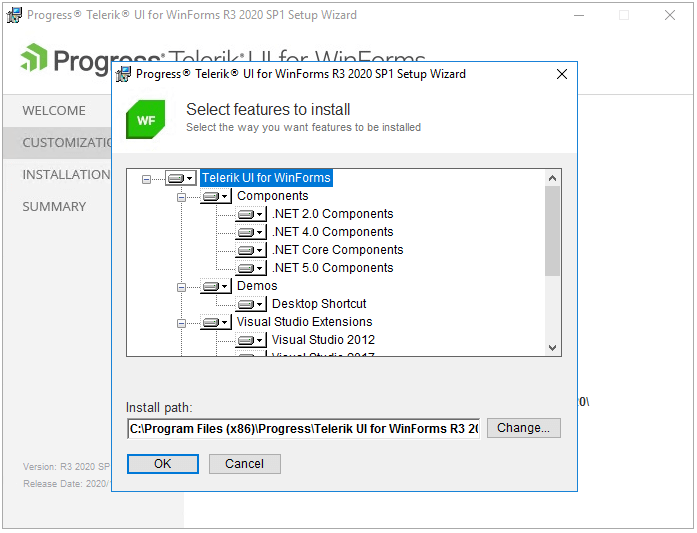 Select the Launch Examples check box to launch the examples when the installer is closed. Click Finish to complete the installation.